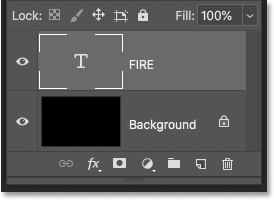 In this tutorial, I'll show you step-by-step how to create a fire text effect in Photoshop, engulfing your letters in burning hot flames. 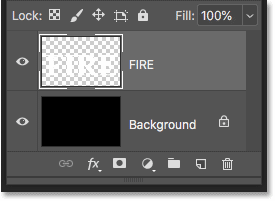 We'll start by adding some initial text, and then we'll set the text on fire using Photoshop's Wind filter, the Liquify filter, adjustment layers and layer effects! We'll blend the text into the flames using the Brush Tool and a layer mask. 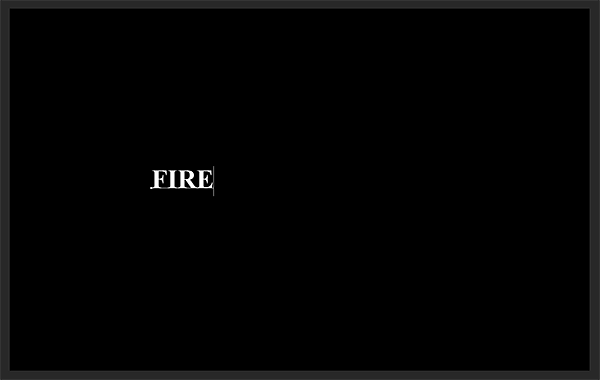 And we'll enhance the fire effect using a couple of textures we'll create from scratch. We'll start by creating a new document and adding the initial text. 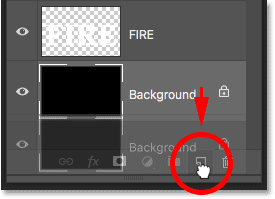 I'm using the latest version of Photoshop CC but every step is fully compatible with Photoshop CS6. Going to File > New. Going to Edit > Fill. 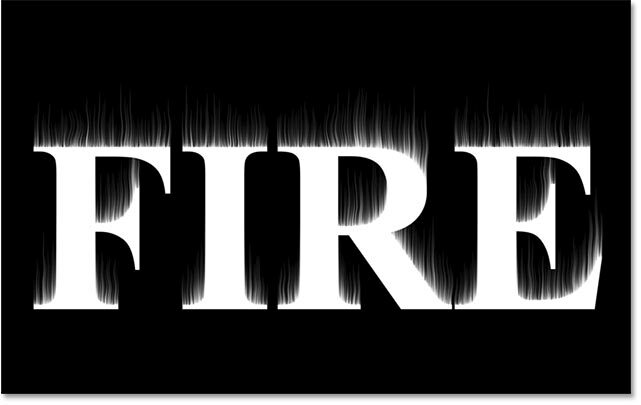 The fire text will stand out nicely against the black background. 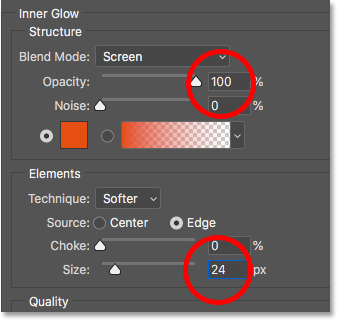 Choosing a font and type size in the Options Bar. Changing the color of the type. 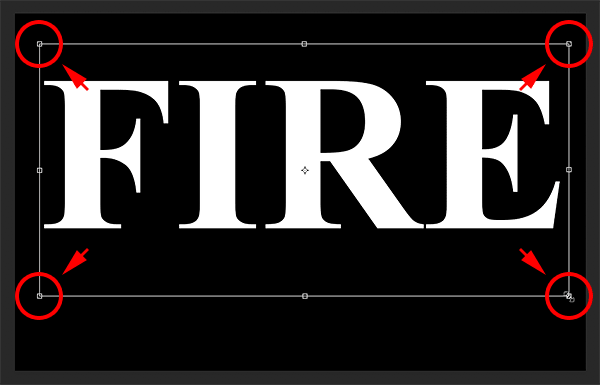 Setting the type color to white. 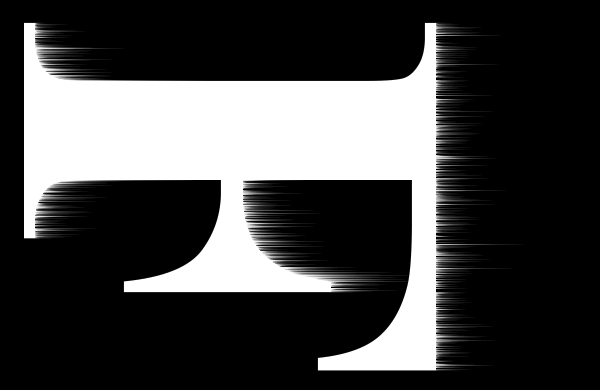 Holding Shift and dragging the corner handles to resize the text. 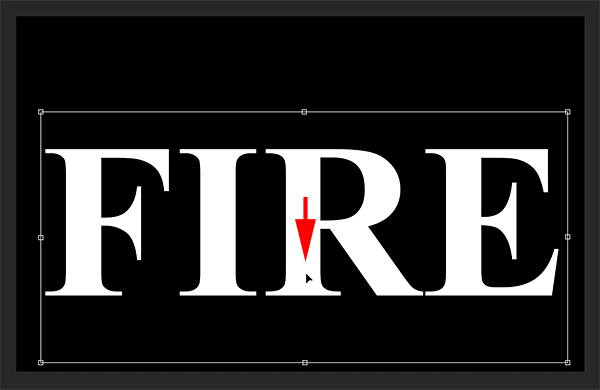 Dragging the text into position. 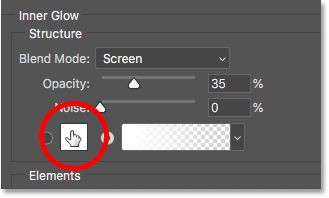 Clicking the checkmark to close Free Transform. 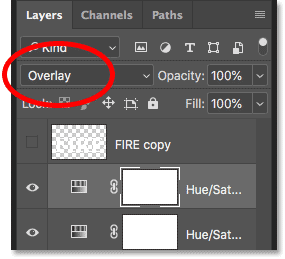 The Layers panel showing the Type layer. Choosing the Rasterize Type command. The type has been converted to pixels. Turning off the top layer. 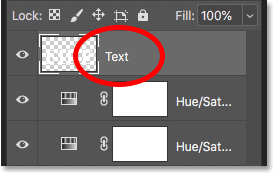 Selecting the original text layer. 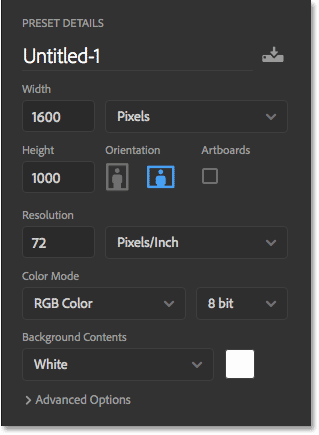 Learn all about Layers with our complete Learning Guide! Going to Image > Image Rotation > 90° Clockwise. 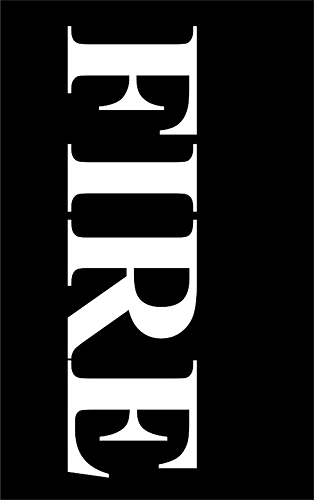 The text after rotating the image clockwise. Going to Filter > Stylize > Wind. 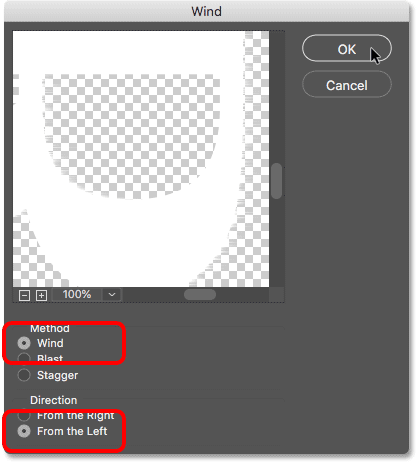 Set the Method to "Wind" and the Direction to "From the Left". 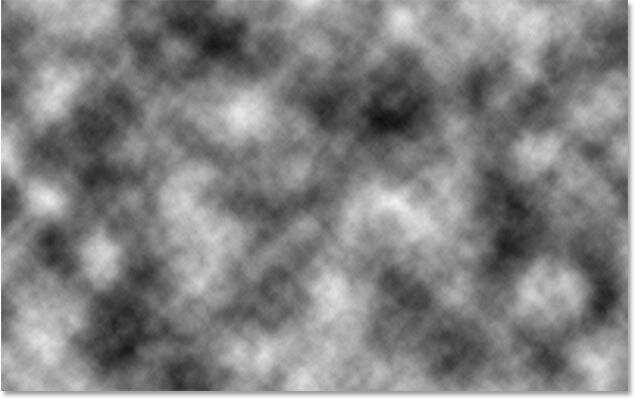 Small streaks appear along the right edges. Running the Wind filter a second time by going to Filter > Wind. The effect after running the Wind filter a second time. Running the Wind filter a third time. The effect after three passes of the Wind filter. Going to Image > Image Rotation > 90° Counter Clockwise. The image is now back to its original position. 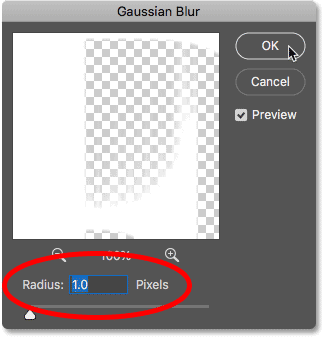 Going to Filter > Blur > Gaussian Blur. Blurring the Wind filter effect to soften it. 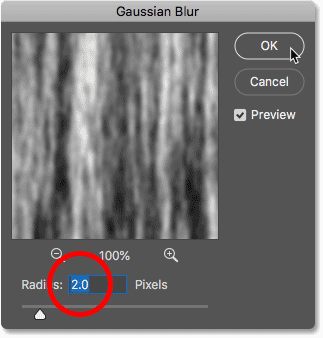 The effect after applying Gaussian Blur. 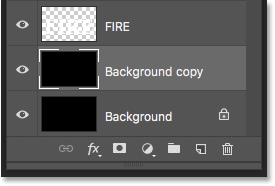 The new "Background copy" layer. Choosing the Merge Down command. 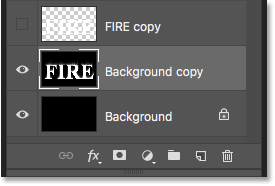 The text and "Background copy" layers are now merged into one. 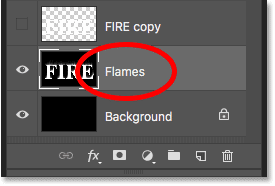 Step 16: Rename the merged layer "Flames"
Renaming the merged layer "Flames". Selecting the Forward Warp Tool. 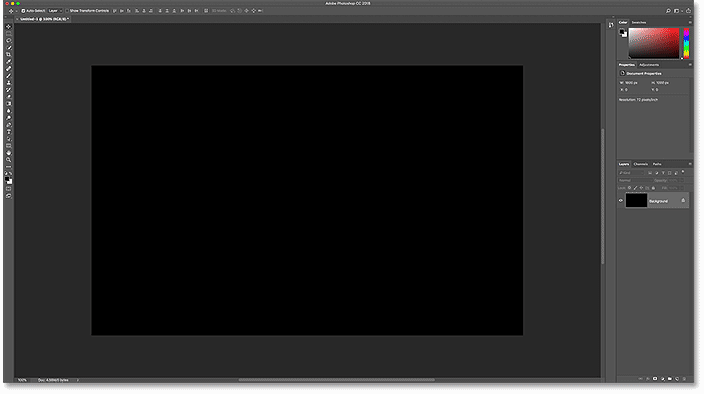 Starting with a 100 pixel brush. Dragging left and right along the streaks to warp them. You can undo the warp using the Reconstruct Tool. The streaks after adding the initial warp. 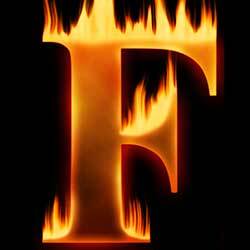 Drawing small flames along the tops of the letters. The result after drawing the small flames. 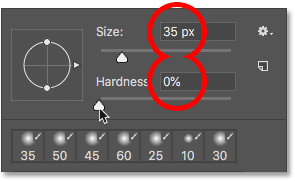 Choosing a larger brush size. Drawing some larger flames with the larger brush. 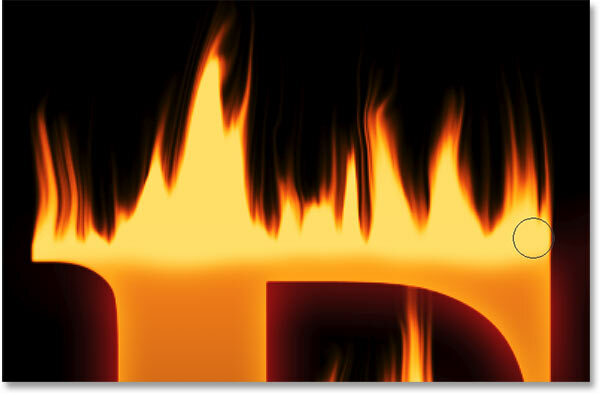 The larger flames have been added. 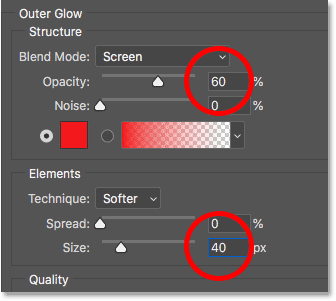 Setting the brush size to 70 pixels. Adding a few larger flames to enhance the effect. 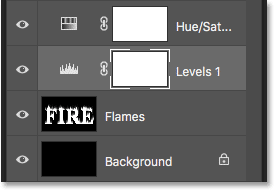 At the moment, our flames are just white, so let's add some color to them. Adding a new adjustment layer. 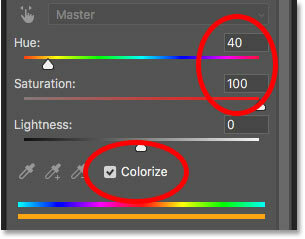 The first Hue/Saturation adjustment layer is added. 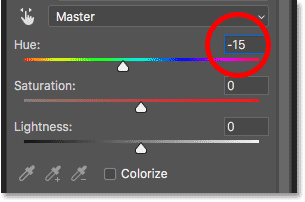 The Hue/Saturation controls in the Properties panel. The result with the first Hue/Saturation adjustment layer. Setting the Hue to -15. The result with the second Hue/Saturation adjustment layer. 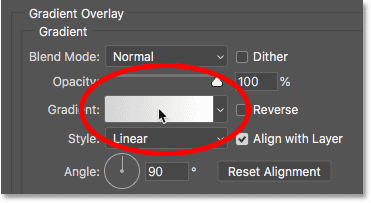 Changing the layer blend mode to Overlay. The result after changing the blend mode. Adding a Levels adjustment layer. 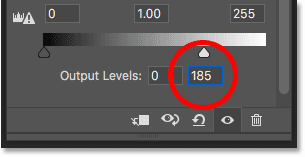 The Levels adjustment layer is added. Lowering the max brightness Output level to 185. The result after lowering the output level. 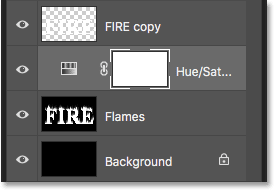 Now that we've added some color to the flames, let's color the text itself. And we'll do that using Photoshop's layer effects. 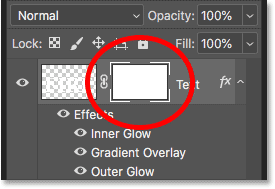 Selecting and turning on the text layer. 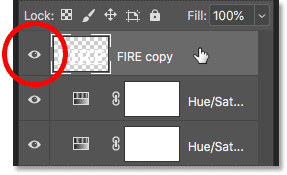 Renaming the top layer "Text". 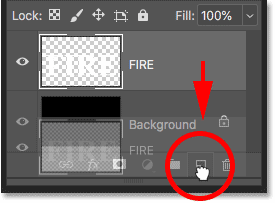 Clicking the Layer Styles icon. 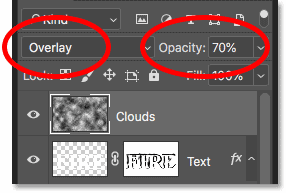 Adding a Gradient Overlay layer effect. 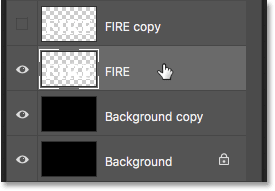 Resetting the Gradient Overlay to its default settings. 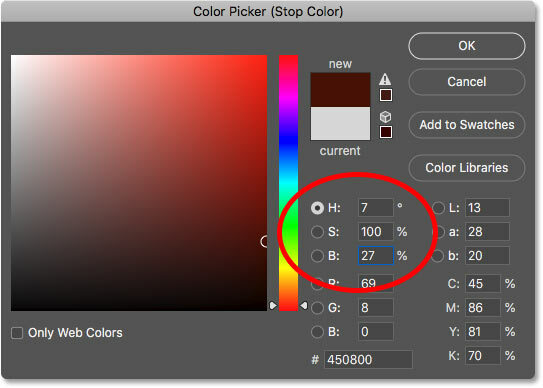 Setting the left gradient color to dark red. 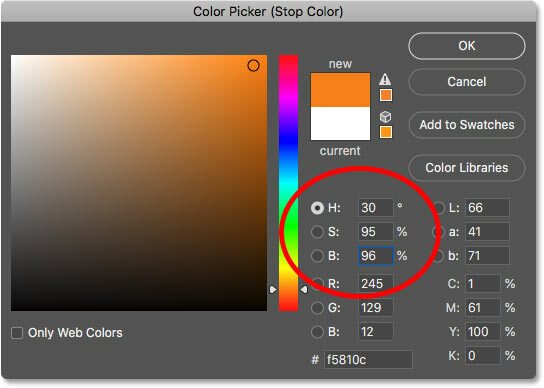 Setting the right gradient color to orange. The result after adding the Gradient Overlay to the text. Adding an Outer Glow layer effect. 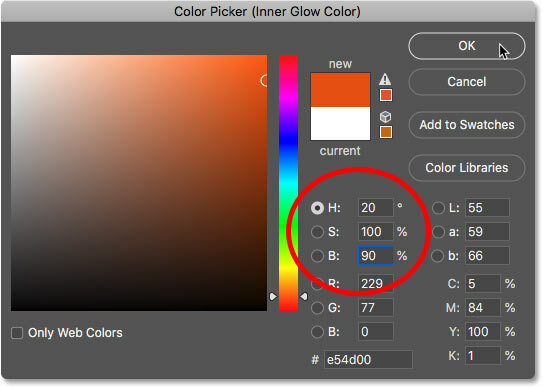 Clicking the Outer Glow's color swatch. Choosing a bright red for the Outer Glow. Setting the opacity and size of the Outer Glow. The result with the Outer Glow applied. 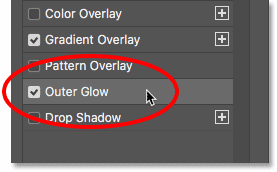 Adding an Inner Glow layer effect. Changing the Inner Glow's color. Choosing orange for the Inner Glow. Setting the opacity and size of the Inner Glow. The result with all three layer effects applied. 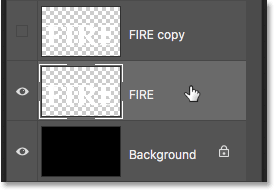 At the moment, the text looks like it's sitting in front of the flames. 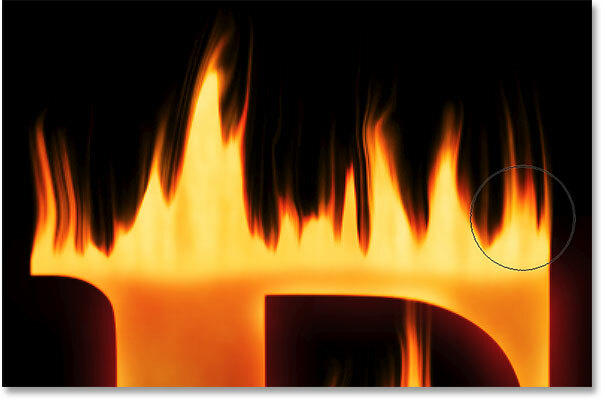 We'll blend the text into the flames using a layer mask. 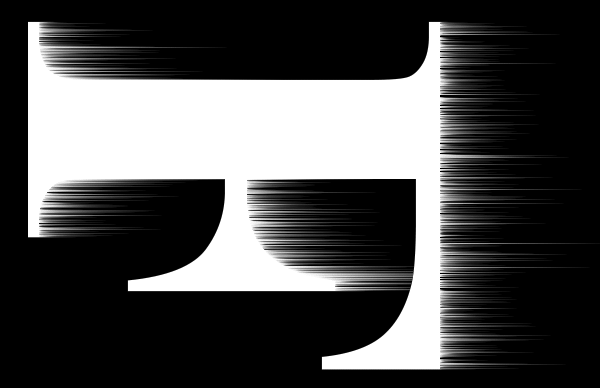 Adding a layer mask to the "Text" layer. Set your brush color to black. Set the size and hardness of the brush. 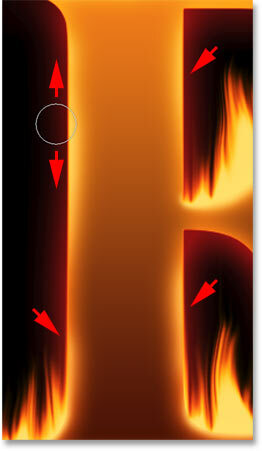 Painting along the top of the first letter to blend the edge into the flames. The result after blending the top of the letters. Paint along the other edges to blend them into the flames as well. Painting along random parts of the edges to add a glow. 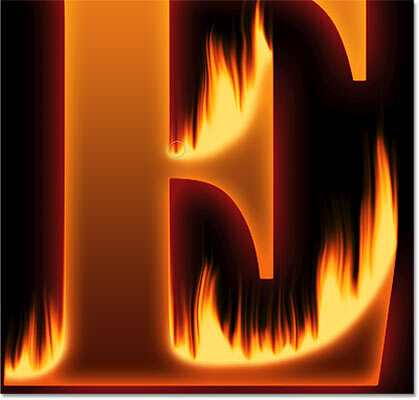 The effect after blending the text into the flames. 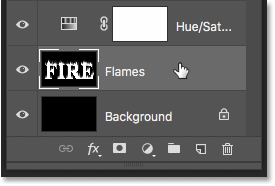 Let's add some texture, both to the text itself and to the flames. 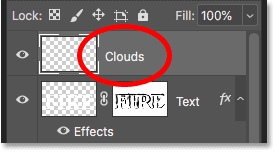 Rename the new layer "Clouds". 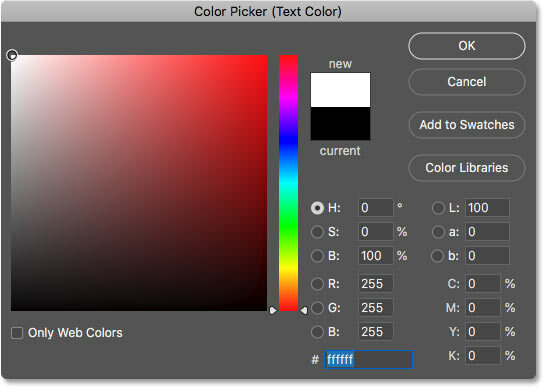 The default Foreground and Background colors. Going to Filter > Render > Clouds. The document after running the Clouds filter. Blending the cloud texture in with the text. The effect with the cloud texture blended in. 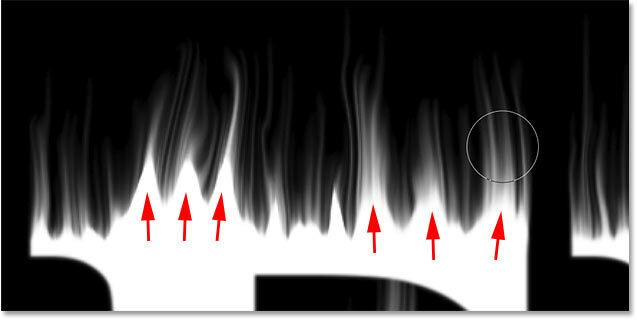 The "Fibers"layer will be used to add texture to the flames. 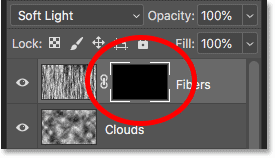 The Clouds and Fibers filters both use the Foreground and Background colors. 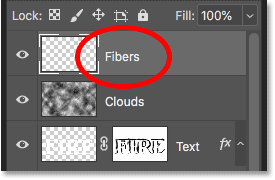 Going to Filter > Render > Fibers. The default Fibers settings will work. 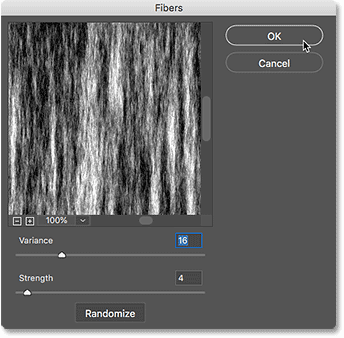 The texture created with the Fibers filter. Applying a small blur to the fibers. 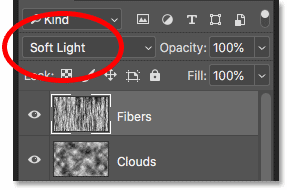 Changing the "Fibers" layer blend mode to Soft Light. 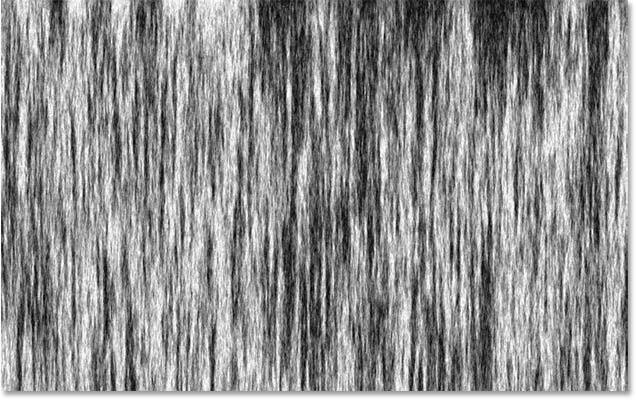 The result after changing the blend mode of the "Fibers" texture. 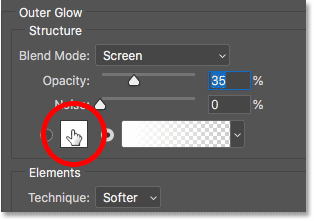 Hold Alt (Win) / Option (Mac) and add a layer mask. 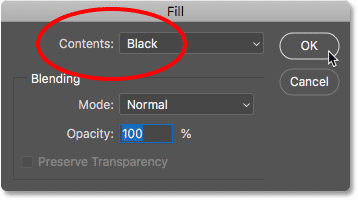 The Alt (Win) / Option (Mac) key filled the mask with black instead of white. Press X to set your brush color to white. Paint over the flames to restore the texture. And there we have it! 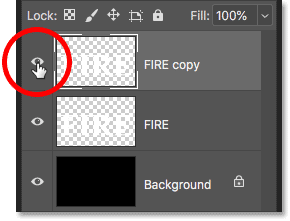 That's how to set text on fire with Photoshop! You can also learn how to turn text into gold, how to create 80s retro text, how to create delicious candy cane text, and more in our Photoshop Text Effects section!